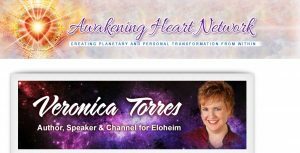 I will be on Awakening Heart Network on Wednesday, May 18th at 4pm Pacific, 7pm Eastern for an amazing interview that will help you create more health, success and abundance in the most immediate ways. Join me for Channeled wisdom from Eloheim identifying the underlying energetics of habitual patterns. Once you have clarity about the energetics, you can make powerful changes right now. Changes that last! Eloheim’s paradigm-shifting teachings offer fresh insights on each of your relationships starting with the most important relationship of all: your relationship with yourself. You create your reality. Are you creating it from places of hidden victim hood? 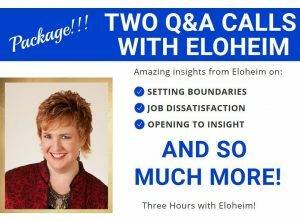 Learn how to discover unconscious creating and break those patterns with easy-to-apply tools from Eloheim. My friends over at Awakening Heart Network are completely committed to helping you create the life of your dreams in the shortest time possible. Couple that with the fact that all of the calls are energetically supported and charged by the Awakening Heart Network Global Healing Circle with the intention to help you create the highest possible positive outcome in any moment! I will be talking to live callers and answering emails too! This is going to be an incredibly powerful and fun call! !